A painted and stitched piece, inspired by a summer walk, worked in acrylics on rough cotton rag paper. 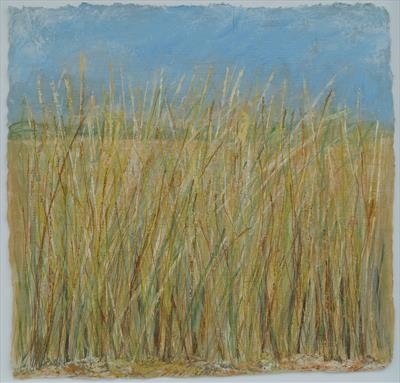 A work inspired by a walk on a 'blue sky' day, with a gentle breeze blowing and moving the golden blond summer grasses. 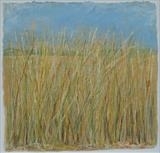 A low eye level view is taken, down among the grasses.